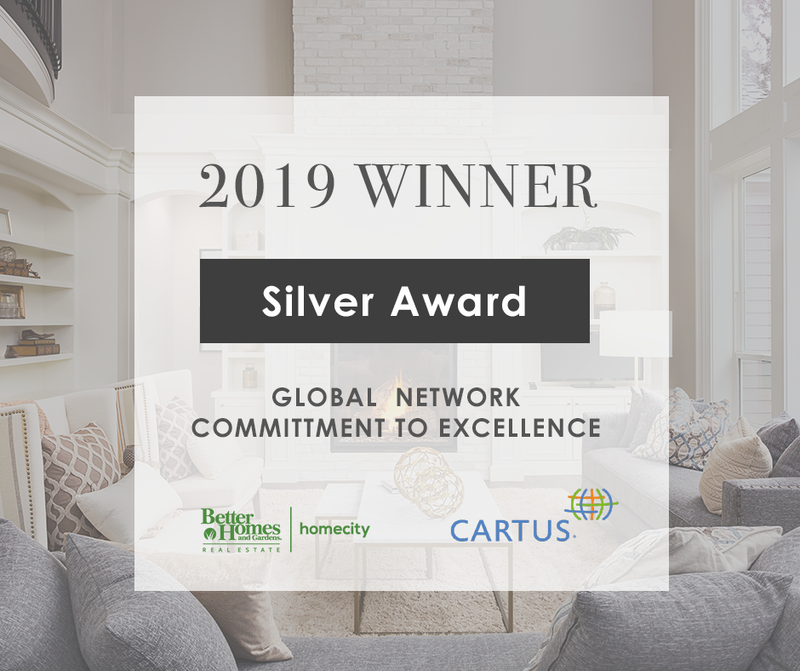 February 11th, 2019 – Better Homes and Gardens Real Estate HomeCity Austin has been named a Silver Award winner by Cartus Broker Services for its outstanding performance during the past year. The award will be presented at the 2019 Cartus Broker Network Conference, held March 17-19 at The MGM Grand in Las Vegas. Cartus Corporation is a worldwide leader in employee relocation solutions. The Silver Award is one of three Excellence Awards presented to principal brokers. Excellence Award recognition is based on performance results related to a wide variety of metrics, including customer service, cost management, and effective analysis and marketing of homes.